What do YOU love? DK’s Findout series has the expert lowdown on all your favourite topics. 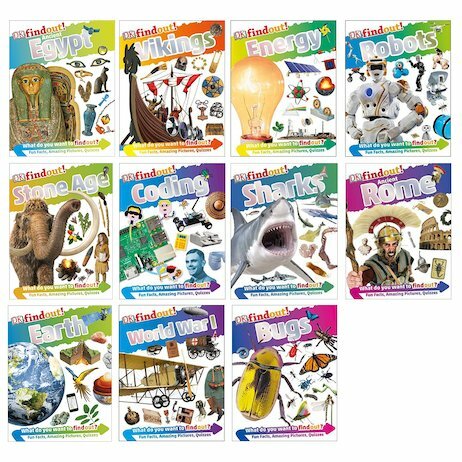 It’s packed with exciting colour photos, quizzes and fun facts for school. These aren’t your average fact books. The punchy graphic layout makes them a whole lot better-looking. But then, nothing about them is average. They’re all about giving you more! Fact boxes, quotes, diagrams, Q&As, cool visuals: it’s kind of like surfing the web, but without any dud pages. Amazing to look at. Bursting with interest. Perfect for building your knowledge.